The following is meant to contextualize This Rain - Esta lluvia, published in December 2016 by Murmur and including the original version and the first Spanish translation of Agnes Martin’s “Parable of the Equal Hearts” (1973), as retold by Ann Wilson; accompanying the prose is an image plate of Martin’s painting “This Rain” (1958), of which a detail is here pictured. For life in the mesas and desert valleys of New Mexico wasn’t new to Martin.2 It was in its city of Taos, in the 1950s, where the New York art dealer Betty Parsons came to know Martin’s work. And it was Parsons who convinced the artist to move to Manhattan in 1957, where Martin and Wilson had met and befriended. They were fellow artists. In any case, Wilson’s visit to Cuba was to work towards the publication accompanying Martin’s exhibition at the Institute of Contemporary Art in Philadelphia, taking place the following year. Curated by Suzanne Delehanty, the exhibition would be, at the time, the most comprehensive for Martin, and it would open a yet uncharted path in her artistic trajectory. Its publication was a central piece in making that possible. I am interested in the 1973 publication of Agnes Martin’s writings because it manifests a plight often experienced while making primary research. As a curator of contemporary art mainly carrying out this kind of work, largely in places off-mainstream art circuits, I meet artists whose work has yet to be written about or be publicly, critically or widely interpreted. I thus value the conversations with artists and the experience had in their immediate environment. These play a significant part in my own understanding of their work, as well as of the historical context which it draws from or is shaped in. Artist’s statements can help clarify an artistic practice, and may likewise help elucidate wider concerns in the field of visual arts. So I have come to trust their statements. On occasions, however, I have also become suspect of some of their voiced ideas. But regardless of whether these are sincere, pretentious, inspiring or even coherent, I value them. Being welcomed to the privacy of an artist world is a privilege of my vocation, and it is the very matter I attempt to sensibly work with. For example, how such feelings of trust or suspicion emerge is weighed upon the artists’ (and my own) breadth of acknowledgment of a given art historical Canon, and in their (as my) level of appreciation to the communities of thought they claim to, or appear to, belong. I thus situate the artist’s voice in relation to the languages and narratives valued by the prevailing discourses in the field of contemporary art. That is, I appraise these in correspondence to how they (and I) position their work in context. By context here I mean the artist’s local environment and its histories, as well as the global art circuit and markets, which nowadays impresses every corner of the world. And when artists frame their work under different terms, I try to understand their intent and reasons in doing so and the manners in which such distinctions actually manifest. This is not to say that I always enter or come away from this interpretative process with a lucid mindset, for emotions, as class distinctions, naturally emerge in conversations and always influence any attempt at objectivity. The character and intensity of such emotions—how these feel, why they develop, and what they mean—tends to expand and simultaneously slow down aesthetic experience. However subjective or extraneous it may seem, feelings shape art as much as its cultures may provoke them. So in par to identifying what is interesting or relevant in an artist’s work or art scene, which is always relatively measured to what is normative at a given moment in time, primary research stresses the task of making sense of emotion as well as circumstance. And intuiting, facing or arriving at a conflictive viewpoint comes with the practice of working with living artists. What to make of that is part of a curatorial undertaking. I’ve thus chosen to translate Agnes Martin’s Parable of the Equal Hearts and publish it along with her work The Rain because the simplicity of their lines, the paradox between them, moved me. Ultimately, publishing them in Murmur is part of a longstanding, personal interest in writing by visual artists, especially on the role it has in the reception of their work. This particular statement by Martin also interests me because it presents a contradiction. After telling what is pretty much a love fable, Martin points to an artwork she had painted more than a decade earlier. In that brief conclusion, she turns one of her abstract paintings into a decipherable picture. The artist had gratuitously given up the artwork’s apparent non-figurative character, and she had done so with a kind of levity that non-sequiturs are able to transmit. Parable of the Equal Hearts was first published in Martin’s 1973 ICA exhibition catalog.5 It was folded into a curatorial framing and interpretation of Martin’s work built upon artistic intent—of trust in the artist’s voice in addition to respect for the work.6 The piece is part of a larger constellation, a community of thought distinguishing their voices and observations from the formalist art criticism of the time. And Martin performed with precision the role of the artist as thinker, giving centrality to shapes of intelligence and of a subjective address to art without falling into the conventions of sentimentalism. Her statements gave other language and reason of her work’s simplicity and candor. They are a breath of fresh air. The abstraction in her compositions and the opacity of her artwork’s surfaces feel like a shield to a Canon, balanced expressions distinguishing private feelings from shared emotion. Like her work, her statements were a measured form to express and compel awareness—one intensely experienced as an outlier. Suzanne Delehanty, et al. Agnes Martin (Pennsylvania: Institute of Contemporary Art, University of Philadelphia, 1973). Three artists statements are published here: The Untroubled Mind, Willie Stories, and Parable of the Equal Hearts. The author credits in the book indicate that the first of these pieces is composed of verbal and written statements by Agnes Martin, as given to and recounted by Ann Wilson; and that the two others are by Agnes Martin as retold by Ann Wilson. The catalog also includes an essay by Lawrence Alloway; refer to Endnote 6, below, for further observations. Nancy Princenthal. 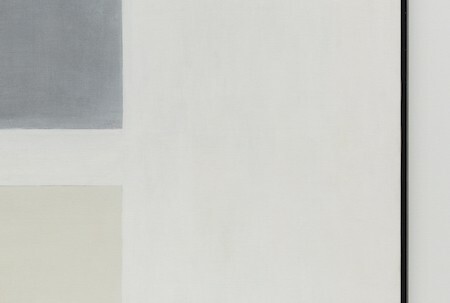 Agnes Martin: Her Life and Art. (New York: Thames and Hudson, 2015). The book’s seventh chapter, “Departures,” deals at length with the artist’s 1973 ICA exhibition and catalog; on pages 195-196, the author develops on Agnes Martin’s Parable of the Equal Hearts. Agnes Martin. Writings. Herausgegeben von Dieter Shwarz, ed. (Germany: Hatje Cantz, 1992). This is an anthology of artists statements and public speeches, the latter which Agnes Martin would begin doing after her 1973 ICA exhibition. The artist’s Parable of the Equal Hearts is included, along with a German translation, with slight variations from the original 1973 version, and without listing Ann Wilson in the author credits.